Liverpool’s landscape, both in the city centre and throughout its historic suburbs, is studded with institutional buildings, some – like the great hospitals - very prominent, others – like Sunday Schools and chapels – punctuating ordinary street scenes. All, however, tell the story of how charity and public authorities responded to the desperate need of the poor and vulnerable in the 19th century. 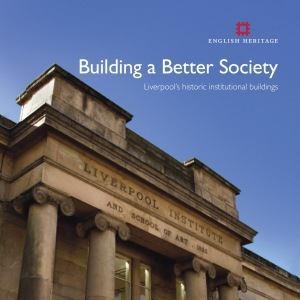 Attractively illustrated by photographs and drawings, this book emphasises the importance of institutional buildings to our understanding of Liverpool's character and demonstrates how new uses can be found to ensure that they continue to form part of the city’s historic environment.